My Star thermal printer feeds paper but is not printing at all. The cause could be that the paper is not thermal-coated or it was loaded upside down. To verify that the roll is thermal-coated, scratch the surface of the paper with a coin or nail. If the top coat shows a gray mark where the scratch was made, the paper was thermal-coated. Next, verify the thermal paper was loaded correctly and try printing again (see illustration). For additional assistance with or finding the right Star printer for your needs, contact us at BarcodesInc. To support customers using web-based point of sale applications, Star Micronics delivers WebPRNT, an innovative technology enabling device-agnostic receipt printing technology that supports HTTP requests used in web-based applications. Mobile POS has seen a boom recently due to the simplicity and low cost investment involved in getting a functional POS system off the ground. Leading the way in mobile POS is Vend with their app that turns your iPad into a fully functional POS system. Setting up shop in a physical location or on the go has never been so easy! With any type of retail transaction their is always a need for some kind of receipt be it via an email or a physically printed copy. Vend has always supported a variety of desktop receipt printers but with their recent update you can go completely mobile with the Star SM-S220i. The SM-S220i is the perfect compact mobile printer to provide your customers with a printed receipt no matter where your point of sale may be. Quickly pair the printer to your iPad running Vend software and you’ll be printing receipts in no time! For more information or to start building a Vend mobile POS system. contact us at BarcodesInc. As a long standing POS printer manufacturer, Epson has provided some of the most capable and flexible printers in the market. 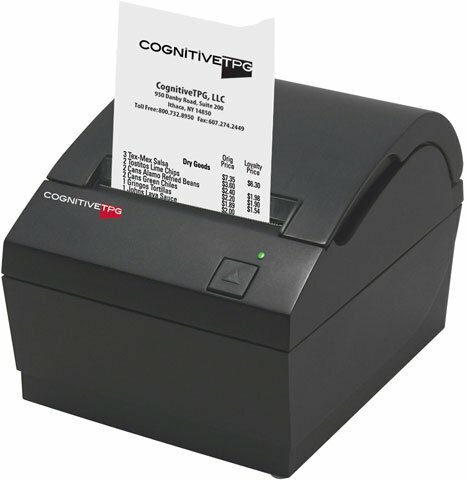 The most common need at the POS for printing is usually a basic customer receipt, but handling things like checks, deposit slips, prescriptions, and returns will require a multi-functional printer like the TM-H600iv. These types of printers have multiple means to print on externally feed documents making them the perfect all-in-one solution for financial institutions, pharmacies, and general retail applications. Understanding the differences between the 3 types of printing (Endorsement, Slip, and Validation) can be confusing at first but we’ve broken it down in these simple definitions and included diagram. In continuing with its Always-Leading-Always Innovative corporate philosophy, Star Micronics is proud to announce the release of its latest thermal receipt printer, the TSP650II, which is replacing the TSP650. Updated to exceed and further enhance one of Star’s most popular printers, the TSP650II boasts a lightning fast print speed of 60RPM (receipts per minute) (300mm/second). The TSP650II also features an improved Guillotine Cutter (2 million cuts), easy “drop in and print” paper loading and a small footprint. The TSP650II ships with Installation CD (printer driver/ manuals), setup guide, wall mount bracket, vertical mount pads, 58mm paper guide, power switch cover, start-up paper roll and external power supply included in the box. Interface options available include Serial, Parallel, USB, Ethernet and the recently released iOS compatible Bluetooth printer. In addition, the TSP650II comes with Star’s 3-year Limited Warranty. Star’s new TSP650II BTi Desktop Bluetooth printer compatible with Apple iOS devices. Star Micronics expands its “i” Series of printers with the launch of its first desktop Bluetooth printer. 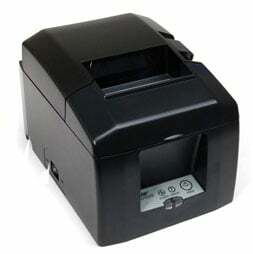 Apple MFi certified, the TSP650II BTi receipt printer is approved for use with the iPod Touch, iPhone and iPad. 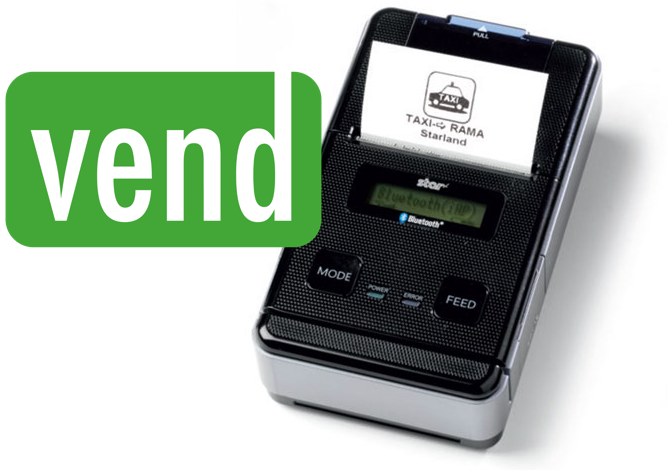 With operating system support for iOS, Android and Windows, the TSP650II BTi features the best of both worlds by coupling the comfort of legacy products with the speed and connection options demanded today in fast-paced point of sales environments. The TSP650II BTi’s “JustWorks” SSP profile makes the pairing process very simple to use. It allows for a quick connection without the hassle of a passkey or having to choose between iOS and Android modes. Quick and ready to use, no user interaction is needed to pair the TSP650II BTi. With everything becoming wireless and mobile, getting existing POS hardware, like receipt printers, onto your wireless network often means getting a new printer. 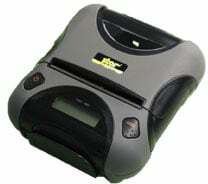 Luckily, Star has their Wi-Fi Power Pack to turn any of the Star LAN based printers into fully wireless capable units. The Power Pack is easy to install and is a very cost effective option for businesses that already have Star printers in place and don’t want deal with long cable runs. This also enables the Star printer using the WiFi Power Pack to connect with tablets, smart phones and other portable electronic wireless devices. This video is a great intro and how-to explanation of how to set-up the Wi-Fi Power Pack in just a few simple steps.